Piller’s kinetic energy stores are a perfect partner for contemporary diesel generators, which are faster-starting and far more reliable than their predecessors. It is a common myth that using batteries as the interim energy store to bridge the gap between mains failure and engine start somehow adds to the reliability of the overall system. That was true some years ago when engine starting was far less reliable and when modern data centres did not exist. Fast forward now to the days of virtual redundancy, unmanned facilities and more complex shutdown procedures and the focus needs to be not on the duration of the interim ride-through available but on the dependability of the ride-through. That’s become even more important as an increasing focus on cost has driven layers of margin out of the typical data centre design. Today, battery failure and unpredictability is no longer an option that can be overcome by long duration autonomy and excessive redundancy. Reports show that 27% of power outages in data centres are caused by faulty batteries. For diesel generators it is just 3% and a considerable number of outages within this 3% can also be attributed to battery problems. It is self-evident that eliminating batteries will improve the reliability of a data centre. Modern diesel engine generators are as reliable as modern car engines when it comes to starting. Even multiple parallel sets will reliably start up, synchronize and accept full load within a period less than 15 seconds. The Piller Powerbridge™ & CPM will give at least a 30% headroom above this*, thereby allowing a delay in diesel start if preferred. By delaying the diesel start, more than 98% of all mains disturbances can be comfortably handled internal to the UPS and when a call to engine is required, you can be certain that sufficient capacity exists in the PowerbridgeTM energy store. That’s more than can be said for many battery installations. 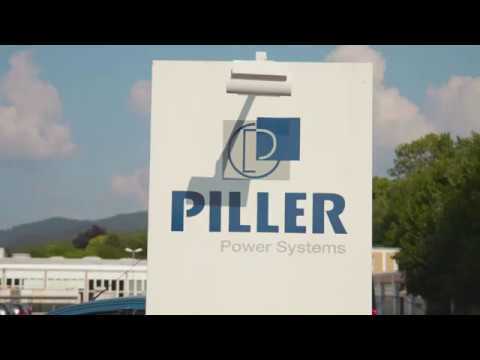 Piller has over 7000 flywheels in operation, most of which are linked to diesel generators. We have the knowledge and experience to ensure a perfect partnership between engine and UPS, to provide a more reliable, dependable and available system each time and every time.